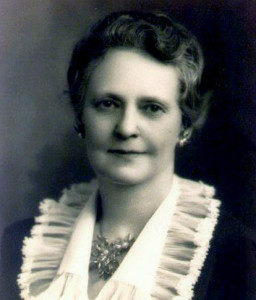 Born within months of Reinhardt’s opening in 1883, Dorothy Rogers Tilly spent her life advocating for the civil rights of minorities, eventually working alongside Eleanor Roosevelt and earning an appointment to the National Women’s Committee for Civil Rights. “She is a powerful example of the importance of women’s roles in changing social views, and her involvement in Methodist women’s groups was central to her ideas about how to bring dignity to and improve people’s lives,” said Dr. Ken Wheeler, whose has researched extensively into Tilly’s life. After graduating with honors at age 16 from Reinhardt, at the time a high school, Tilly began working with impoverished children through the Methodist Church. This exposure to social issues inspired her to join the Commission on Interracial Cooperation as well as the Association of Southern Women for the Prevention of Lynching. Tilly’s work led her to Washington, D.C., where she befriended Eleanor Roosevelt and was invited to join President Truman’s Committee on Civil Rights. When she began to receive death threats from the Ku Klux Klan, Tilly was undeterred. Rather than backing down, she founded and ran the Fellowship of the Concerned, an organization that trained women to prepare their communities for a peaceful integration of public schools. “I have kept my finger on the heartbeat of the South, and I know its heartbeats and its heartthrobs, and they are my heartbeats and my heartthrobs,” said Tilly of her work in a 1959 address to Congress. In 1963, President John F. Kennedy appointed her to the National Women’s Committee for Civil Rights. Although she passed away in 1970, Wheeler says there is still much to learn from Tilly’s life.